Guess The Pop Star Feet? 25. Guess The Pop Star Feet? What jazzy socks! What smart loafers! 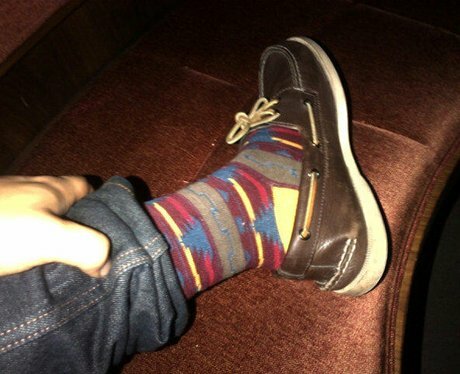 We definitely like this popstar's style 'just the way' he is - can you guess who it might be? See the full gallery: Guess The Pop Star Feet?